After our initial Kindle Fire review, we wanted to take a closer look at how Amazon’s new tablet compares with the iPad 2 as a media consumption device. 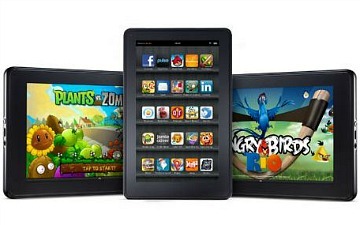 Like Apple, Amazon has paired the Kindle Fire with a complete end-to-end media solution. Users can buy apps, books, music and video files all from one account and one interface. As someone that has invested heavily in both the Apple and Amazon ecosystems, I wanted to compare the experiences in terms of media consumption. This means the ease of use in listening to music, watching movies and TV shows and purchasing apps. Like its eInk predecessors, the Kindle Fire is a 7″ device. The iPad (and the iPad 2) has a 9.7″ screen. Both run at about the same resolution — 1024×600 for the Kindle Fire and 1024×768 for the iPad — but the difference in aspect ratio and screen size offers up some differences. The Kindle Fire is an ideal size for reading text (though not necessarily magazines), but it pales when compared to the iPad for viewing video. Playing back a video on the iPad in portrait orientation yields the same video size as the Kindle Fire in landscape. Moreover, the Kindle Fire’s resolution is still in the realm of standard definition. From my tests, high definition content on the Kindle Fire didn’t look any better than the same content on the iPad. The Kindle Fire’s screen size and aspect ratio work well for 16×9 formatted content, but for many television shows, the 4:3 aspect ratio of the iPad is actually preferable. Ultimately, screen size is an important consideration, especially if video consumption is going to be a common activity. Since screen resolution is nearly identical, I give the edge to the iPad 2. Apple and Amazon both sell a variety of film and television content through their tablets. Apple’s approach is to download the video content to a device (the exception is the Apple TV 2, which simply streams content off Apple’s servers), whereas Amazon streams its content. For home media consumption, the difference is largely one of semantics. Whether I’m watching an episode of Arrested Development via iTunes or streamed from Amazon Video, the content is still being delivered to me. The advantage of downloading content is that it can be viewed in those rare instances when one is offline. For most users, however, constant connectivity is the norm. Amazon goes one step further than Apple with its offerings, thanks to Amazon Prime Instant Video. Amazon Prime members get access to a growing collection of television and film content that can be streamed for free on supported devices. The only tablet to date to support Prime Instant Video is the Kindle Fire. Apple and Amazon have both worked to create end-to-end content solutions, but nothing exists in a vacuum. A tremendous part of the iPad’s value is that it can also access third-party media services from companies like Netflix, Hulu Plus, the BBC and more. Likewise, a string of third-party services signed on to support the Kindle Fire. This is actually the Kindle Fire’s biggest weakness. 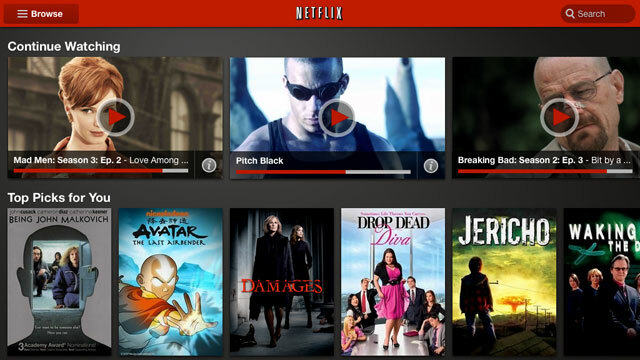 While the major content players are accounted for, there are still a number of services and content sites that are not accessible from the Kindle Fire. The options in bold are also available on the Kindle Fire. The “*” indicates that an app is available for Android, but not the Kindle Fire (at least, yet). 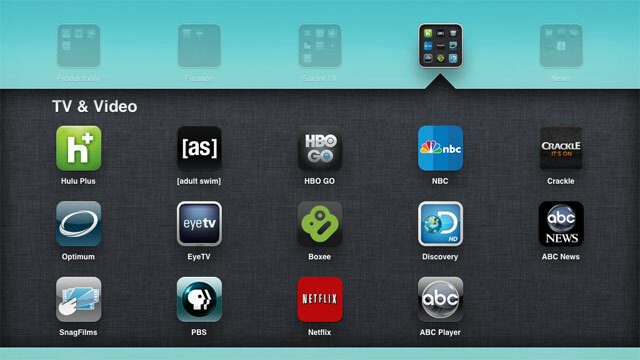 While it’s true some of these apps require cable subscriptions or logins to function, many are absolutely free. Additionally, the streaming rental service Vudu works on the iPad, albeit in SD only. This is a big discrepancy in content options. For many users, it won’t matter. For my own use, not having access to HBO or my cable company app is a huge loss. Amazon integrates the Kindle Fire with Amazon Cloud Player, much like Apple integrates the iPad with iTunes. Again, the difference really comes down to streaming vs. downloading. As we mentioned in our iTunes Match review, Apple treats iTunes in the Cloud as a hybrid solution between streaming and downloading. Non-local tunes are played back from the cloud, but also downloaded for offline access. You can remove tracks to save space later. Amazon’s approach is almost identical. The one exception is that users have the option of choosing to download an album for offline listening. The cloud components of iTunes Match and Amazon Cloud Player are very, very close. Apple definitely makes the process of getting music to the cloud more seamless and friction-free, but the basic playlist syncing and tablet browsing experience is about the same on both. The vast majority of subscription streaming music services — including Spotify, MOG, Rdio and Rhapsody work on both the iPad and Kindle Fire. Although the Kindle Fire is a valiant competitor, its lack of support for a full array of video content gives the iPad the edge. My iPad can actually replace my television set (and thanks to Cablevision’s iPad app, it largely has) and iTunes Match means it’s a great music jukebox too. The Kindle Fire isn’t robust enough to serve as the center of my media-centric universe, but it’s awfully close. And at $200, that might just be enough for some.